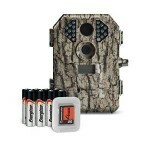 Trail Cameras are essential for exploring and hunting as they allow you to locate wildlife easily. Before you invest into one of these devices, it is important to compare prices, features and reviews to find the right camera for you. Here we will take a look at some of the best options available in the market and will help you to decide which is the camera that better suits your needs. In this guide, you will find all the information that you need to consider before buying a trail camera. There are options that suit different requirements and budgets. If you are camping or live in an area surrounded by wild animals, a good trail camera will work as a great security tool. It would also let you keep an eye on your own animals or find out if there are intruders in your land. 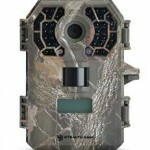 Trail cameras allow you to keep track of the population of wildlife in your land. You can establish the pattern of movements of deer, raccoons, bears, turkeys and more. During the winter season, the camera can be useful to look for deer sheds. With a trail camera, you can take photos and videos of animals or other activity on your property. It is advisable to choose a camera that supports HD video features as it would give you more options and while they may be more expensive, in the end you will get better value for money. Before purchasing a trail camera, it is important to become familiar with the technical aspects and specs used by camera manufacturers. If you require advanced features and powerful capacity, you would need to be prepared to pay a higher price. However, if a basic model supports the features that you need, you will be able to find affordable options. The following list of features will help you to select the best camera for you. MP (Megapixels): Check for the number of pixels that the camera sensor has. If you are looking for top quality images, make sure that you opt for a camera with a high number of pixels. Detection Range: This is how far away the camera is capable of detecting movement and capturing video or photo. Recovery Time: This is what determines how fast can the camera take one photo after another one, usually with flash. Trigger Speed: The speed in which the camera can take a photograph once an animal is detected. Flash Range: This is the range capacity of the flash. The shorter the range, the closer the target would need to be in order to get a good photo during the night. No Glow: A camera that includes this feature, has an infrared flash that is not visible to people or animals so it won’t scare them away. The downside is that when no glow is in use, you would only be able to take black and white photos. TV and USB Connections: This feature is crucial to ensure that you can connect the camera to a computer or TV to view the images and video captured. Viewing Screen: This is an option available from advanced models. It allows you to look at your photos on an in-build screen. This means that you can see the images while you are outdoors without having to connect the camera to a computer. If you are looking for an affordable camera that doesn’t compromise quality, you can find a good option in the following list. 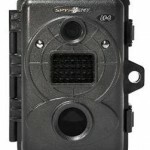 These cameras offer reliability and are suitable for regular use. The P12 features a sensor of 6 MP and a very respectable sensing range of 50 ft. It is also one of the cheapest options available and you can get it for just under $60. Stealth Cam models stand out for providing consistently good performance without draining the battery and the P12 is not an exception. The AA batteries last longer with this camera than with other devices in the market. The P12 is capable of capturing great photos and the 6 shot burst setting is a pleasure to use. The IR flash can’t be seen by animals, which allows you to capture great photos at night. This is a remarkable camera that supports advanced features for a low price. For just around $88, you can get a great camera that provides solid performance and durability. You can expect good image quality and since the camera features 30 IR low glow emitters, you can also get clear, focused night photos. It has a trigger time of just half a second and an impressive detection range of up to 80 feet. While the recovery time may not be as efficient as what you can get from high end options, overall, the G30 is a great device at a very convenient price. The battery life is also good and you can get over 4 months of continuous use from the 8 AA lithium-ion batteries. Stealth consolidates its place as one of the best manufacturers in the market with another great model that provides great performance and that features a 7MP image sensor with Video recording 15 seconds. It provides a 10 ft further range and a trigger sensor that supports great speed. 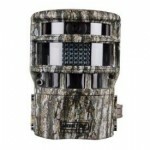 The camera also features EZ Dial programming and 18 IR Emitters with 50 ft range. 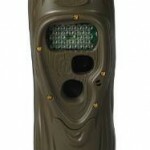 It features camo finish and external LCD display. The camera is available from just over $100. To get even better value for money, you can get a deal that includes a 4GB memory card and a a pack of 8 AA batteries, required to run the camera. This is the second generation of the A-5, one of the most popular budget cameras available. 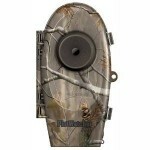 This model maintains the high level of quality that Moultrie offers, while offering an improved design. Its 5 MP camera sensor has a low glow infrared motion detection system. The range is between 30 to 40 feet and each photo includes the time stamp, date and even the moon phase in which it was taken. 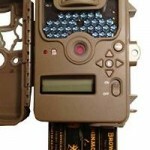 The camera works with with 8 standards AA cell batteries, which can last up to 6 weeks and capture hundreds of images. It also features a 12 V external port. You can get this camera for less than $60. Browning may not have the recognition that other brands enjoy, but it certainly is an option that should be taken into consideration. The Range Ops XR is one of the most solid and affordable options that you can get and it can capture high resolution 8MP images. The camera features an impressively fast trigger speed of less than 0.7 second and it can record HD videos with sound and up to 2 minutes of length. It has a flash range of 60 feet and it works with standard AA batteries. The battery life is good and the camera comes complete with Browning Buck Watch time-lapse viewer software. You can but it for less than $110. The Primos is another suitable option for users who are looking for a conveniently priced camera that provides top features. The leaf camo design is outstanding and so is the 7MP high-quality resolution that the camera supports. The Early Detect Sensor features 45-degree PIR sensors, which support great night vision to capture sharp images in the darkness. The camera also offers 1280x720p HD video and you can get top quality images thanks to its active sensor range of up to 80 ft. The impressive speed of its 0.7 second trigger allows you to capture any animal in movement. This model from Primos sports 46 LEDs and the 8 AA batteries required can last up to 9 months. It is available for just over 107 USD. Paying a higher price for a trail camera, will allow you to get advanced features and top performance. If you are willing to invest more in order to get an excellent device, but don’t want to get over budget, you can choose from the following list. These cameras will suit experienced users and offer incredible quality for a price that is still reasonable, considering all the advantages that you can enjoy. Once again, Stealth Cam makes it to the list of the best available cameras for outdoor activities. The G42NG model sports the quality and reliability of the G30, but it also allows you to enjoy better images thanks to its 10MP image sensor. Another benefit of the G42NG is that it features a useful no glow IR night sensor and it provides a better recovery time. It is also very easy to use and you will quickly learn to take advantage on all the features supported. With the G42NG, you will be able to get a battery life of up to 6 months running on 8 AA batteries if you are only using the basic settings. 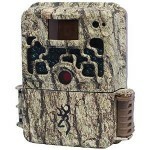 The camouflage skin design is another highlight of this practical camera. It usually costs over $180 but you can get from just under $115 in Amazon at the moment. This is the enhanced version of the M-880i and it offers ease of use and reliable performance. It lets you take 8 MP high resolution images and the sensor supports a range between 60-80 ft. The camera runs on 8 AA batteries, which could last up to 8 weeks before they need to be replaced. There are four operation modes including time lapse, night infrared mode and daytime motion detection. You can also capture HD video by day or night and the camera is very easy to use thanks to its quick set slider. One of the main highlights of the camera is the Motion Freeze feature which reduces blur on the IR triggered night vision photos. At $115, this is a solid camera for a reasonable price. This outstanding camera is ideal for the field as it sports a small size and a long-lasting battery life. It runs on 6 AA batteries and provides great performance with its 100 ft flash range. The trigger time of less than 0.7 second will ensure that you can take clear images of even the fastest animals. You can get great photos during the day or in the nighttime and the video also offers great quality and you can capture up to 2 minutes. 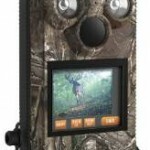 It comes with Browning Buck Watch time-lapse viewer software. The Browning Strike Force Sub Micro is available for around $130. If you are willing to pay a higher price for a camera that supports a wider range of functions including a 5 zone detection sensor, the Spypoint may the option for you. This feature enhances the trigger speed, ensures that animals are in the center of the photos and allows you to capture them at all times. You can also record videos of up to 90 seconds of length. The camera works with 6 AA batteries and you can use 32 GB memory cards. It includes 13V solar panel power jack, mounting strap, USB and video cables. 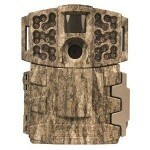 This Spypoint is available for just above $150. 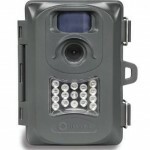 This is a panoramic game camera that features three infrared sensors to support a 150 degree wide by 50 ft deep field of motion detection. Once motion is detected by one of the sensors, the camera moves subtly to capture videos and images without being detected. 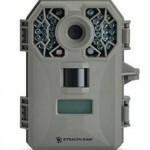 This unique camera also supports 5 modes including YR triggered game camera, Time-lapse and HD video day and night. With the Moultrie Panoramic 150 Game Camera you can take panoramic photos and capture animals as they move across the field. Prices for this camera start at $165. This camera is designed to make things simple and it allows you to avoid manual scouting location. The Day 6 Plotwatcher Pro can capture images every 5 to 10 seconds at any time of the day. While it doesn’t have infrared motion sensors, it offers a remarkable storage capacity and high quality HD video and pictures. The lack of motion sensing capabilities works as an advantage for this camera as it makes it easier to use and ensures that the camera is not activated unnecessarily, for instance when there is movement caused by the wind. You just need to set the image interval, point the camera in the direction of your choice and the Plotwatcher will take care of the rest. It can capture up to 1 million images. You can find it for less than $175. For the ultimate performance, you need to opt for this powerful 12MP resolution camera from Wild Game Innovations. It features anti-blurring technology that allows you to take clear crisp images of wildlife. It covers 50 ft range and the touch screen in front of the camera is a convenient feature that will help you to setup and manage the camera easily. Its smart design and practical size ensures that you an carry the camera anywhere as it will even fit in a large pocket. It captures video silently so it won’t alert the animals that you want to record. It is waterproof and can resist harsh weather conditions. 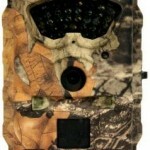 The Crush 12 MP Touch Trail Camera can be yours for around $190. This is one of the most powerful and compact scouting cameras that you can get. The 5 MP infrared capacity may not sound impressive but the truth is that this camera can take great day or night images and videos. It has an ultra fast 1/4 second trigger speed and 36 high-power infrared LEDs that provide 60 ft flash range, allowing you to capture clear, sharp images of animals, regardless if they are standing still or moving. The camera also has lapse model, video mode, Guard Duty mode that captures 5 pictures per minute all day and Centered Subject Technology. The Cuddeback Attack IR 5MP Game Camera is available for $200 and it works with 4 D Cell Batteries that can last up to one year. If you need a convenient camera that offers good value and gets the job done without any hassle, take the Simmons Whitetail into consideration. It is a reliable camera that supports all the features that you would need for the outdoors. It is very easy to use and allows you to take 5MP and 6MP images as well as recording 640×480 video during the day or the nighttime. It works with 4 AA batteries and the manufacturer promises up to 6 months battery life with light use. 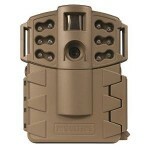 The camera has 20-30 foot trigger rage that ensures that you get great images even during the night. You can get it for around $230. 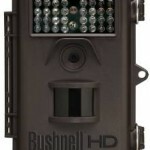 The Bushnell Trophy Cam HD stands out thanks to its high quality camera lens and its innovative Hybrid Capture Mode. This unique technology gives you the possibility of recording a video right after a photo is taken. This will allow you to capture great images of majestic animals as well as videos that show their movement. You can take 8 MP high resolution photographs and records videos with a length of up to 60 seconds. The infrared motion detection provides a 60 ft detection range and the camera also has an adjustable PIR (Lo/Med/High) or Auto PIR. The images display time, date, moon phase and temperature. The camera runs on 4 to 8 AA batteries that can last up to one year. It costs just less than $250. Although the majority of trail cameras boast some kind of camouflage to make them difficult to notice, they can still be detected and since they are useful and fine devices, thieves would find them appealing. While many manufacturers offer security boxes for their cameras, in most cases, you would need to buy these separately.The additional investment may be worth considering since a good case can protect your camera, not only from thieves but also from damage caused by animals or the elements when you leave the camera untended outside. There are good quality cases that are made of steel and that have a padlock to keep the camera safe, Many of these cases also feature a belt that can be wrapped around a tree to keep the camera in place and concealed. The best locations to place a camera are the areas in which bedding, food and water is available as this is where animals are likely to roam. Trail cams can be used throughout the year for scouting purposes. Just keep in mind that the ideal locations for scouting may change in every season. While Lithium rechargeable batteries last longer and are generally the best option, they are also more expensive. Alkaline batteries are convenient and more affordable, but the power is drained faster when there is cold weather conditions. You can also try NiMH batteries, which are cheaper option. However they are likely to offer weak performance and will run out of power quickly.